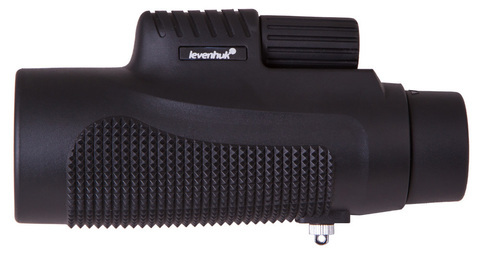 Compact Levenhuk Wise 8x32 Monocular is the best choice for hiking and traveling. If you don’t want to carry around heavy full-size binoculars, then this monocular with its modern roof prism design is perfect for you! Birding, hiking, extreme sports, studying architecture - Levenhuk Wise 8x32 is excellent for all these enjoyable activities! You will be pleasantly surprised with Levenhuk Wise 8x32 Monocular’s optical performance. The lenses are made of quality BaK-4 glass, which eliminates negative effects of the phase shift and increases image sharpness and contrast. The lenses are covered with several layers of anti-reflective coating. The coating decreases light scattering and parasitic reflections, and makes the image bright and saturated even at dusk. 8x magnification allows you to carefully examine even significantly remote objects. The monocular is designed primarily for day-time observations, but it won’t disappoint you in low-light conditions as well. 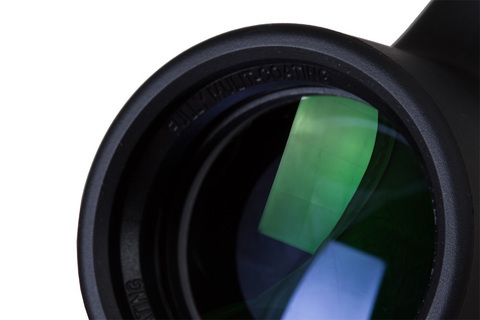 The monocular’s body is fully protected with a special anti-vibration rubber coating. The coating protects the delicate optics not only from mechanical shocks and shaking, but also from dust and water splashes. The eyecup is made of rubber and you can easily extend it to achieve the most comfortable observing position. This feature makes observations while wearing glasses more convenient. 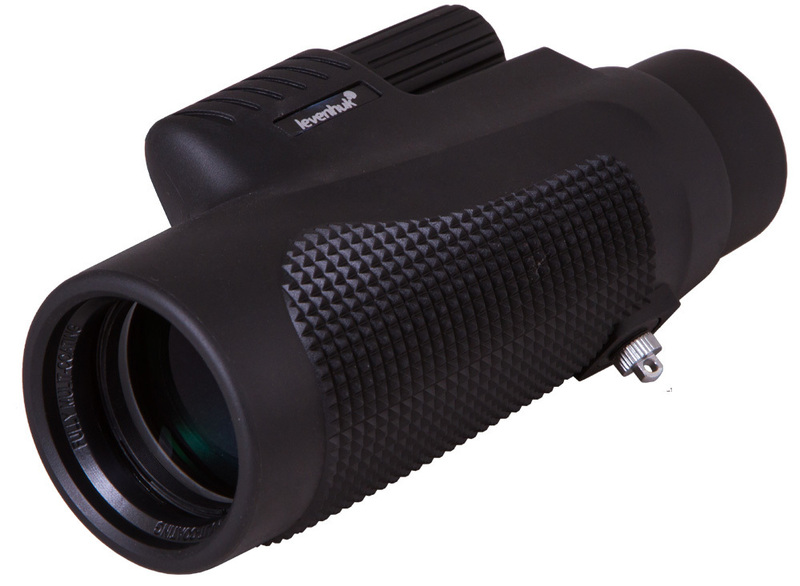 With Levenhuk Wise 8x32 Monocular you can quickly focus the view with just one hand – the focusing wheel is located right in the center of the instrument. A compact hiking monocular will be a great companion when you go backpacking and want to admire the picturesque landscapes or wildlife. The best monocular for hiking Levenhuk Wise 8x32 combines lightweight design and quality reliable optics. The extended kit includes everything needed for monocular care and safe, convenient transportation of the instrument.